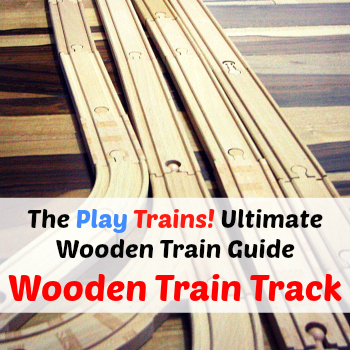 What do you do when you want to introduce your children to all the wonderful things that the world has to offer, but all they want to do is play trains? 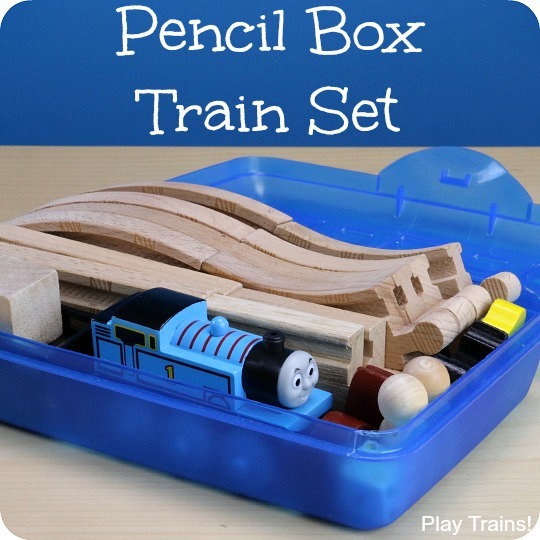 You bring the world to the train set! 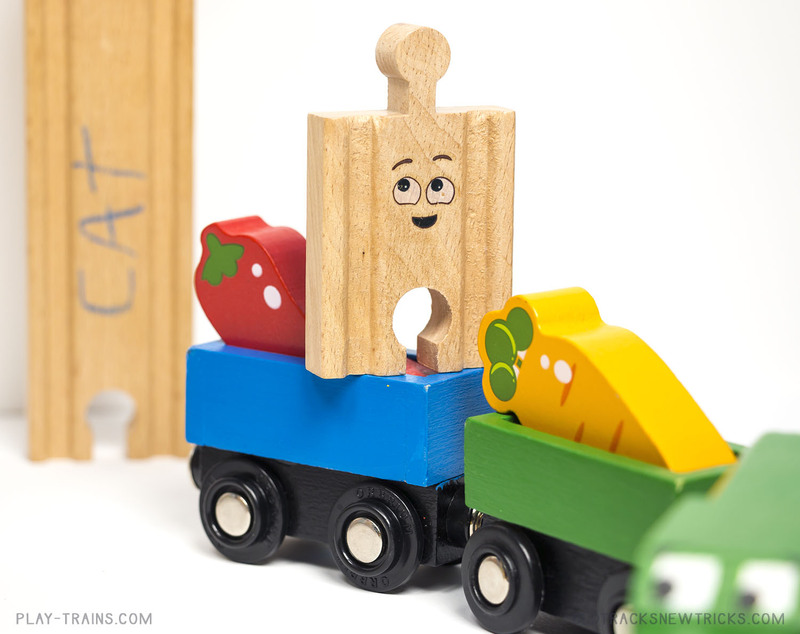 If anything has ever exemplified this philosophy of mine, it’s this wooden train track and toy vegetable stacking activity that I came up with today to take to the kids’ tent at our local farmer’s market. 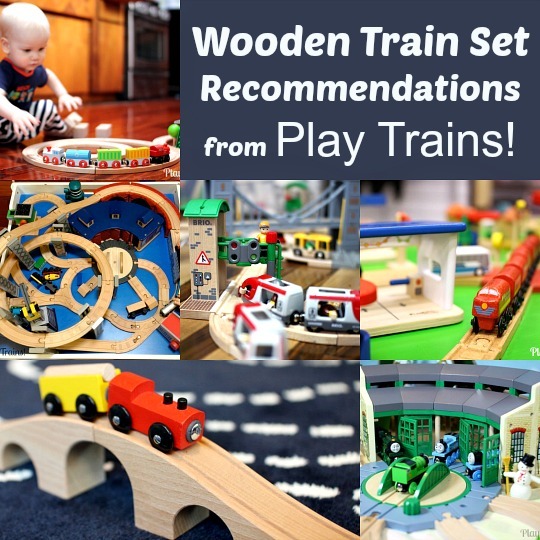 The beauty of wooden train sets is that it’s very easy to incorporate just about anything your child is interested in — or that you’d like your child to learn about — into train play. 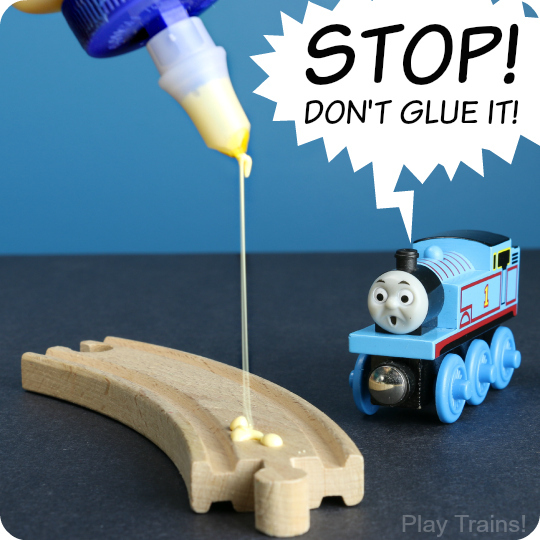 When the Little Engineer was a toddler, I realized I could teach him just about anything using his train set, and I have yet to be proved wrong in that belief. 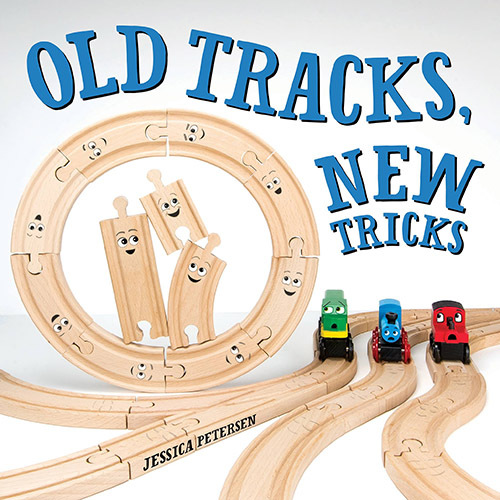 Knowing this has added so much fun and creativity to our lives, and it ultimately inspired all the inventive “track-tivities” in my wooden train picture book, Old Tracks, New Tricks. Transporting the vegetables: Because these veggies fit in these small wooden train freight cars, they should fit in most other freight cars. 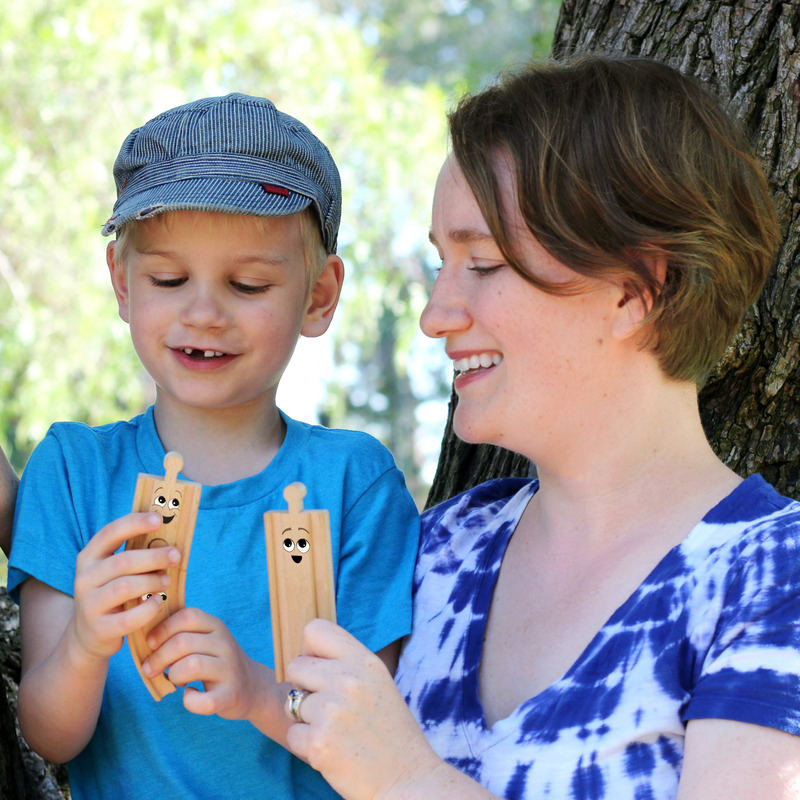 Children may enjoy getting out some building blocks, building farms and markets, and taking the produce to market. 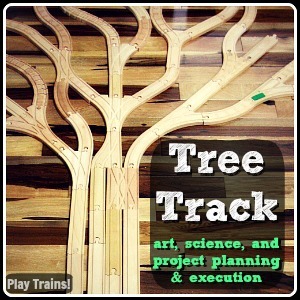 Playing farmer’s market: Personifying the trains and tracks (as they are in Old Tracks, New Tricks) opens up the option for a pretend play farmer’s market or grocery store with the tracks and trains as farmers and customers. 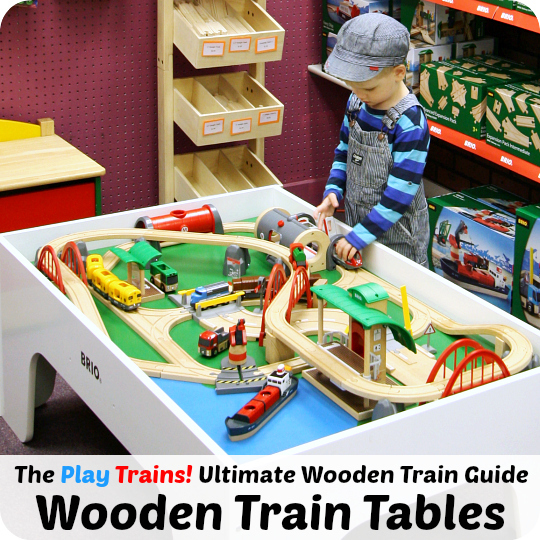 Sorting or patterning by color and type: Because many wooden trains are painted in bright colors, adding another colorful type of toy gives children lots of different objects to sort or make patterns with. 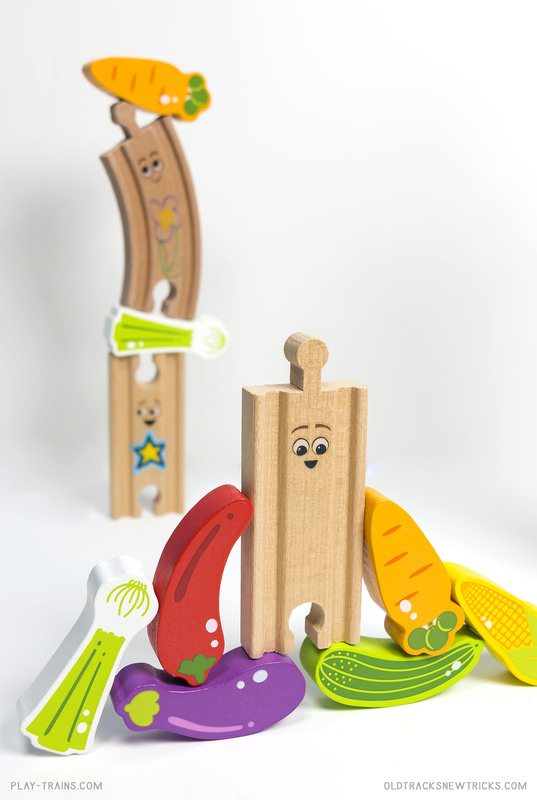 The trains can also transport the veggies to different sorting areas (such as a piece of paper in each vegetable’s color). Designing pictures: While I was editing the photos above, my son took the toys and started making robots with them on the floor. “This one’s torso is made entirely of corn!” is one of those phrases that you never really expect to hear in life until you have kids around! Fresh-Picked Poetry: A Day at the Farmers’ Market by Michelle Schaub is a new, lively and fun book of poems that takes children through a day at the farmer’s market — an instant favorite at our house! There’s a lot of variety to the poems, and any family that attends a farmer’s market will recognize the many joys that Schaub brings to life with her words. Eating the Alphabet by Lois Ehlert is a really bright and lovely board book that identifies a wide variety of fruits and vegetables, linking them to the letter of the alphabet each starts with. We’ve had this one for years, and my son still likes looking at it. A Day at the Market by Sara Anderson depicts a full day at Seattle’s Pike Place Market — a place my son knows and loves. The rhyming text is fun to read aloud, and the pictures portray the vibrant chaos of the market well. 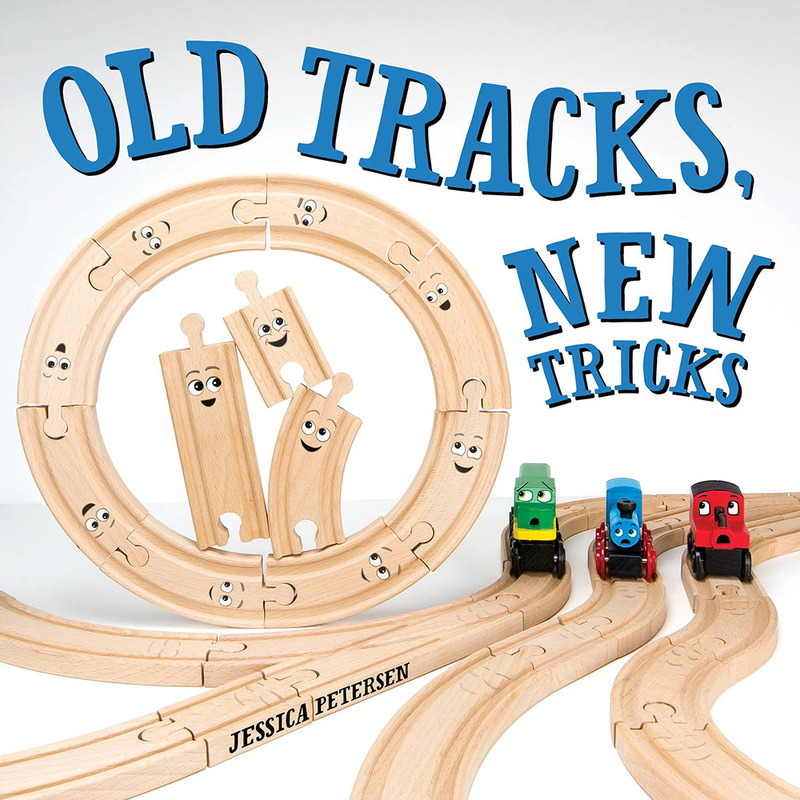 And if your child has fun with this one and wants to try more unusual activities with their wooden trains, Old Tracks, New Tricks has more than twenty activities to try, plus a guide to inventing your own track tricks at home. 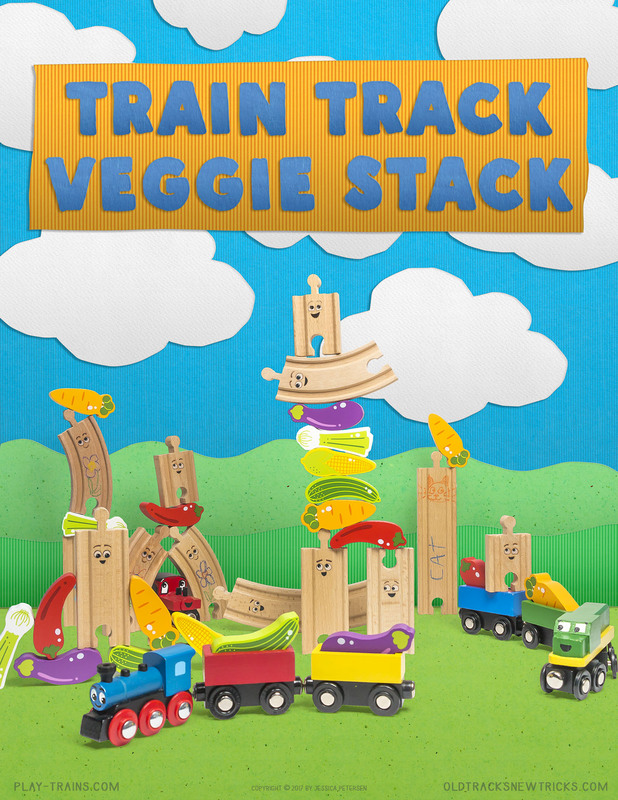 Head over to the Old Tracks, New Tricks website to download a free printable Train Track Veggie Stack poster to inspire your child to play in new, inventive ways!